This is the second in a series of posts about the development of the visual elements of Donna Druchunas' new book: Ethnic Knitting Discovery: The Netherlands, Denmark, Norway, and The Andes. Today's topic is the swatches and charts—not the most exciting visual aspect of the book, but a critically important one. I'll also take a short digression at the end to discuss the tables, because they're visual elements, too, although they mostly involve typographic treatment. We knitted most of the swatches twice. That wasn't the plan, but it was how things worked out. The first set would have been great for testing a design for knitting purposes but needed to be modified so we could use them as the source material for producing a book. The second set was knitted specifically to meet the needs of book reproduction. The good news is that all the swatches came in handy because we ended up needing samples of the stitch patterns in several places at once as we developed the variety of images for the project. It's hard to distinguish the two sets of texture-stitch swatches from each other, although it may be obvious that for both sets we used off-white, rather than stark white. The original set was made from a plied worsted-weight yarn. The second set was a singles heavy-worsted weight. 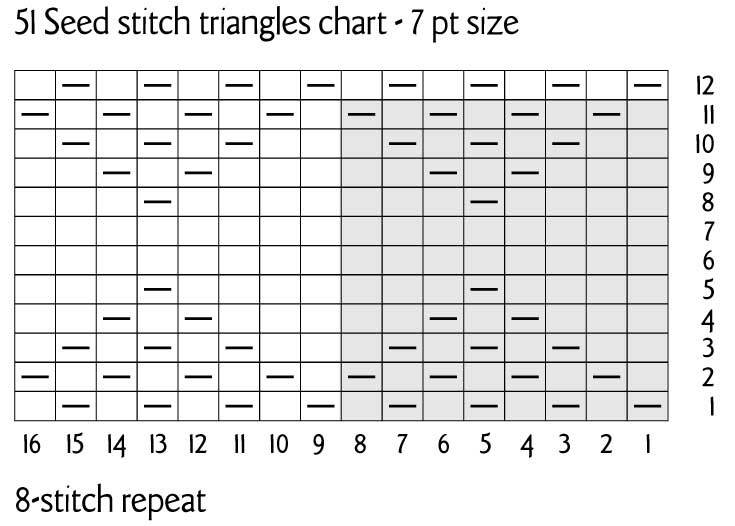 We chose yarns and gauges that would give us good stitch definition in the scans and photographs. The swatches were placed directly on the scanner, not photographed. There are both advantages and disadvantages to this technique. The major disadvantage is that the light is very flat, which means we've got to be sure that the dimensionality of the knitting is evident in the final images—this mattered most for the texture swatches. You can see several differences between the two sets of swatches for the color work. For both sets, we chose a contrasting color that would be definitely different from the background color but would not be so dark that the stitch definition would be obscured. 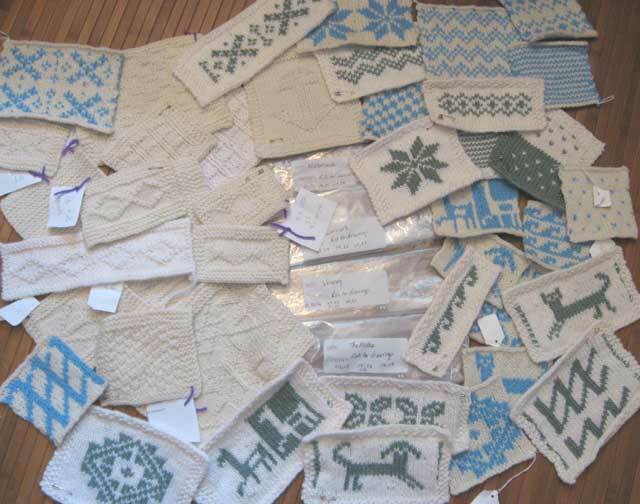 The blue-and-white are the originals; you can see on some of them that there were no border stitches planned in, so when we went to make the digital images for the book the patterned edge stitches either curled to the back or were distorted. Distortion is always a problem in showing swatches. Sometimes I sew the knitted squares onto plastic needlework canvas to keep rows and columns of stitches aligned for scanning. Sometimes I just arrange them as straight as I can on the scanner, and adjust the swatch and rescan if they don't turn out straight enough. Even when that takes three or four scans to get a swatch done right this can be faster than the tacking. I tacked a few of these swatches for the first scans and then decided the additional work wasn't making enough difference to make it worthwhile. You can see that the columns of stitches in particular are slightly distorted. This is a function of the stranding of the colors. It wouldn't make a whit of difference in a knitted garment, but it does on the printed page. This isn't either the final scan or the final crop; it's one of the working images. See how nicely the stitches show up in the dark areas? If we'd used black or navy, you couldn't have seen those stitches. If we'd used stark white for the light color, the definition would also have been obscured, although not as much as in a black. It's a seed-stitch diamond, from the chapter on Denmark. It's been adjusted and cropped. 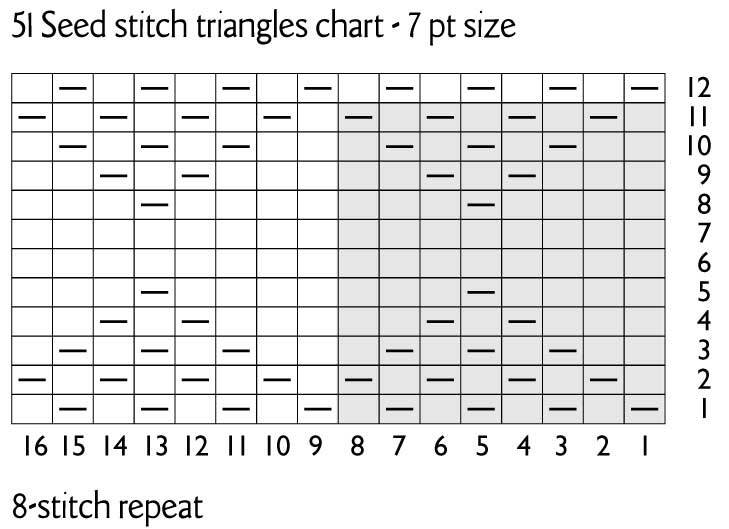 The cropping on the swatches relates directly to the stitches shown in the charts, although repeats are marked on the charts. Wherever possible in this book, what you see in the chart is exactly what you see in the swatch. Donna made putting the charts together easy for me. She provided them in Word documents (that's not the good part) composed in the Knitter's Symbols font (that is the good part). Designed by David Xenakis of Knitter's and XRX Press, there are actually two fonts: KSymbolsW (for knitting maneuvers) and KSymbolsCP (for color changes) that constitute an incredible gift to the knitting world. Here are the basic guidelines for their use: "These fonts are Freeware. You may give them to your friends as you wish. . . . [U]se these fonts how and where you wish, but if you do use them for professional purposes, please include the words Knitter’ Symbols fonts used courtesy Knitter’s Magazine—Copyright © 1998 XRX, Inc. 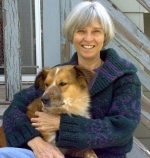 Otherwise, there are no restrictions on using them." I could copy-paste the chart symbols from Donna's Word documents into boxes in InDesign and they'd show up perfectly. After setting the sizing and leading for consistency, I added line and row numbers (not in the same type box as was used for the chart symbols: I learned not to make that mistake when I assembled Arctic Lace). Then I overlaid shading to indicate the repeats and we were off and running in the chart department. Even with that huge head start from Donna, the charts went through a few stages. The notes above and below are reference information. The original sequencing number was 51. The chart is set at 7 points (leading also 7 points, or I would have specified). The row and stitch numbers are set in LTC Goudy Sans, the type I used for the body of the book. I love that particular type. However, it seemed to distract from the clarity of the charts. This is a case where type needs to be extremely legible but not call attention to itself. The simpler numerals definitely worked better for me, although I tweaked spacing many times before considering the results "final." I used the same solution later in parts of the tables the charts, which I'll show below. That grid should look the same as the two versions above it. You do not want to have this happen on the day you are going to press. Fortunately, when this happened on Ethnic Knitting Discovery, I'd already experienced it on Arctic Lace. It's just a font thing, not flaw, a quirk. Nonetheless, it's alarming. And it can be time-consuming to fix, depending on how you've set up your charts. 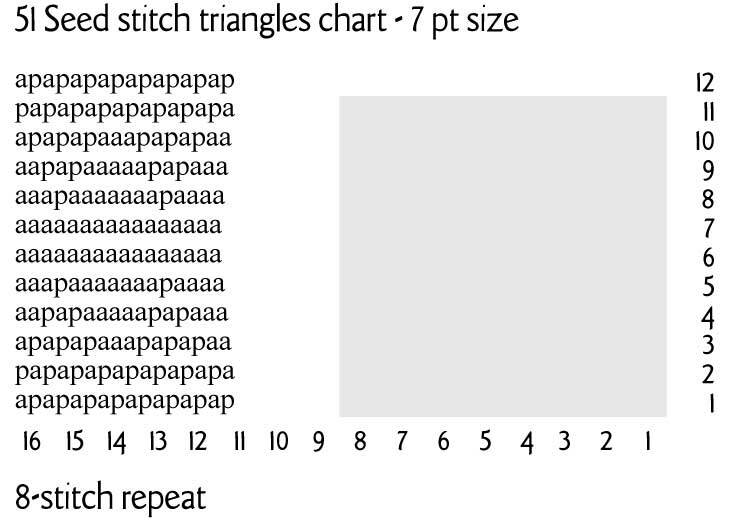 Once I was certain all the Ethnic Knitting Discovery charts were the way I wanted them (because changes would be harder to make after I did this), I transferred each chart to Illustrator, converted it to outlines, and replaced the type-only version in the InDesign layout file with the Illustrator file. Here's a small typographic digression about tables that relates to the comment on row and stitch numbers above. Tables in books need to be clear and easy to read and to use. I also like them to be pretty, but not so pretty that they interfere with other aspects of the book (like the sweater drawings, which will be covered in an upcoming post). I don't know if you can see clearly enough at this web quality, but using LTC Goudy Sans in the body of the table (the "Actual body measurement" and measurement boxes) seemed to me to be clunky and hard to read. I also would have needed to manually space some elements for clarity, but the effort would only have been making the best of a situation I didn't like in the first place. As much as I liked the LTC Francis, I decided that I wanted something more playful for the table titles, which might otherwise be perceived as being too serious. So I switched them to Okey Dokey NF (it took about a week, off and on, to settle on this font . . . I have a lot of samples of things I tried!). Having determined how I would handle the "backbone" visual elements of charts, swatches, and tables, I moved on to the next set of illustrations: the flat drawings of the sweaters and the schematics. They'll be the topic of another post.